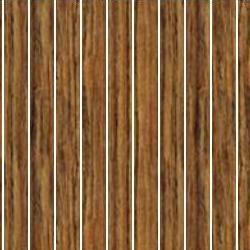 One of nature’s the most distinctive and beautiful building materials is wood. 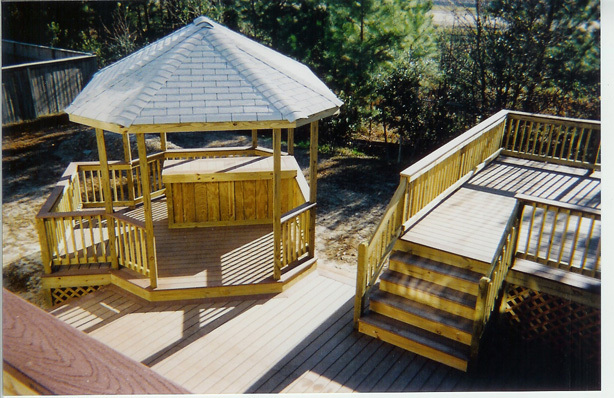 A wood deck and/or other wood structure such as a porch, gazebo or pavilion, as shown in Figure 1, will provide a beautiful and useful addition to your home, but must be cared for properly as it requires protection from the elements and regular maintenance. Decreasing fall temperatures are the perfect time to consider deck restoration and cleaning to protect it against the onset of winter weather. Figure 5 - Common wood decking problems. The floor or horizontal surface area of your deck is exposed to all that nature can deliver in harsh and harmful environmental conditions. Decking problems as shown in Figure 2 can be created in a number of manners. Ultraviolet rays from the sun penetrate the wood surfaces, destroying the lignin. Lignin is the resin that holds the wood fibers together in a bundle. Dirt can then permeate the surface and lodge between the wood fibers. Water from sprinklers, rain, and snow creates swelling within the wood fibers and then when the water evaporates the wood shrinks. This continuous swelling and shrinking creates splitting and cracking of the boards. Moisture lodged in the wood will generate the growth of mildew and molds. To protect your investment you must finish the deck surfaces. Proper preparation and application of a deck coating system will dramatically extend the life and appearance of your deck. As with most projects, the initial preparation is the key to a successful and appealing finished product. When finishing a deck the initial surface preparation is key, as 95% of deck finish failures are a direct result of improper preparation and/or product application. The horizontal surfaces of your deck take much more punishment from the occupants of the home, their guests, and the environment. Hence, the horizontal surfaces require more preparation than the vertical surfaces. The time spent in surface preparation will show itself in the finished project. 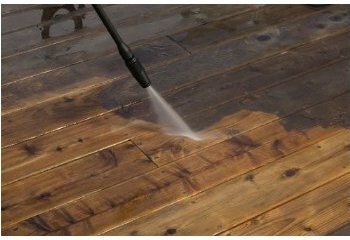 All stains, paints, and other finishes require a clean surface, free of dust, dirt, grease, mildew, and mold, if they are going to penetrate and bond to the wood. Loose fibers and the mills original glaze must be removed. 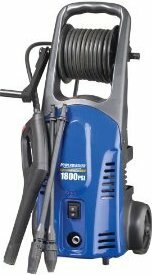 In most cases the first step is to use a power or pressure washer , as shown in Figure 3, with a deck cleaner , to remove the top layer of dirt and grime, as shown in Figures 4 and 5. 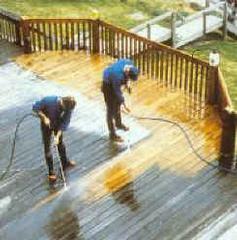 Once the deck is clean a full inspection should be made of the deck including the decking, joists, railings and steps. It is not uncommon to identify sections of the deck or structural lumber that must be repaired or replaced. Cleaning the deck will help to easily identify the problems. The use of high quality stains and sealers will maintain the structural integrity of the deck as well as its appearance. If you are serious about maintaining the investment in your deck and you are still in doubt as to what steps to take. Talk to a professional at one of the many high-end retail paint stores. These people exist by the repeat business of satisfied customers, their staff is trained and experienced and usually have many years of expertise specifically in stains, paints and finishes. This is not a time to do business at a big box retailer.